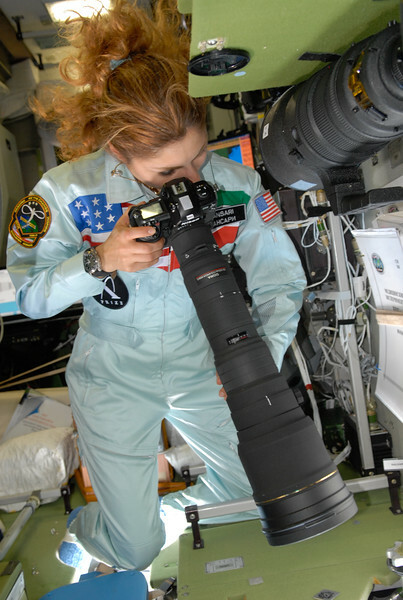 A remarkable and multi-talented woman, Anousheh Ansari flew into space on Sept 18, 2006. As a spaceflight participant, she conducted experiments on plants, anemia, muscles and space radiation. She also took over 1,500 photos - many quite dramatic pictures of Earth. Ansari has a degree in in electrical engineering and computer science, and was the founder and CEO of two major technology companies: Telecom Technologies and Prodea Systems. She is Iranian-American, and the first Muslim woman in space. Speaking of her space flight, she hoped to "inspire everyone - especially young people, women and young girls all over the world, and in Middle Eastern countries that do not provide women with the same opportunities as men - to not give up their dreams!" She also has provided philanthropic support for space exploration and education, most notably by co-funding the Ansari X-Prize space competition. And read her book: My Dream of Stars!